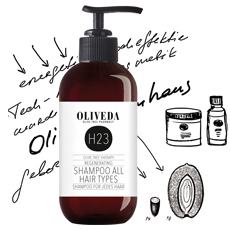 B21 Shower Gel Aroma gives your skin an extra amount of moisture while awakening your senses with a fresh minty scent! For a ready-to-go effekt! The B16 Body Serum makes your body look firm, detoxes and purifies. B21 Shower Gel Aroma provides the skin plenty of care, not just energy, while it at the same time performs as a mini detox treatment! Extracts from the olive leaf, revitalizing and refreshing Arbequina olive oil, and Moroccan mint fuse together to create a smooth, creamy-rich foam that provides a true moisture boost, and ridding the body of toxins. 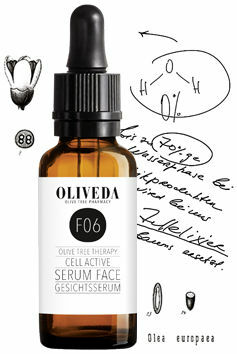 B16 Body Serum is based on the highly effective fresh olive leaf cell elixir. Olive leaf and black Arbequina olive extracts detoxify and purify the body. Our Hibiscus extract, containing essential fatty acids and antioxidants, visibly tighten skin, reduces cellulite, and endorses the loss of fat cells. 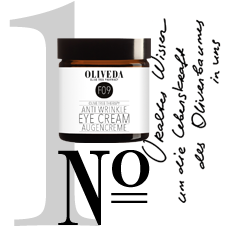 The skin is noticeably and immediately revitalized; and small creases, for example on the décolleté, are smoothed. Suitable for all skin types; especially for individuals with extremely sensitive skin. 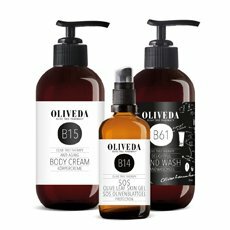 B16: olea europaea (olive) leaf cell extract, aqua, caprylic/capric triglyceride, pentylene glycol, ethylhexyl palmitate, glycerin, olea europaea (olive) fruit oil, methyl glucose sesquistearate, brassica oleracea italica (broccoli) seed oil, stearyl alcohol, alcohol, tocopherol, lecithin, olea europaea (olive) leaf powder, saccharide isomerate, sodium hyaluronate, pimenta dioica (piment / Nelke) fruit extract, caffeine (Koffein), carbomer, potassium phosphate, sodium citrate, citric acid, sodium hydroxide, parfum (fragrance), potassium sorbate, sodium benzoate. B21:olea europaea (olive) leaf cell extract, aqua (water), sodium C14-C16 olefin sulfonate (olefinsulfonate), cocoamidopropyl betaine, polyglyceryl-3 caprate, glycerin, pentylene glycol, olea europaea (olive) friut oil, sericin, hydroxypropyl guar, hydroxypropyltrimonium, chloride, menthe piperita (peppermint) oil, citrus medica limonum (lemon) peel oil, alcohol, sodium benzoate, limonene*. 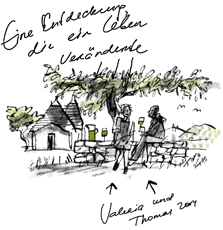 (*Bestandteil natürlicher ätherischer Öle).